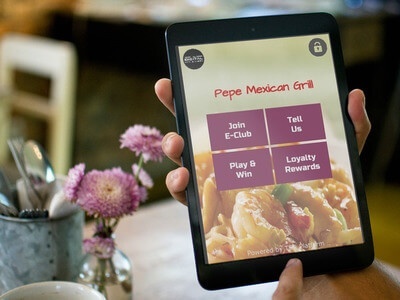 For restaurants and pizzerias wanting to increase guest engagement, our restaurant tablets offer an affordable option. 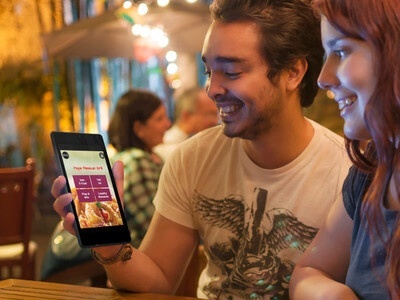 We provide an innovative restaurant tablet solution for higher guest engagement. Grow your guest email database while interacting with dining guests in a fun and engaging way. Every time the guest interacts with the tablet apps, customer information is captured securely and automatically synced to email service provider. Over 90% email capture rate every time the tablet is presented to the customer. Organic email database growth. No more paper email signup forms for fishbowls! Our tablet solution allows you to receive real-time feedback from guests during their visit. The manager is notified of the feedback in real-time that gives the opportunity to handle customer concerns right away. We enable the restaurant management be proactive in reputation management and avoid any negative yelp reviews. No more asking guests to fill out paper forms! Our restaurant tablets is an innovative guest engagement solution for restaurants and pizzerias. Restaurant tablets are custom-branded for the restaurant. The tablets adds to the server personal touch and enhances the guest service. The tablets are table-side instead of table-top, offering an affordable configuration for restaurants. Need tablets solution for guest engagement? Interested in seeing how you can increase engagement with dining guests? Contact us for a demo.